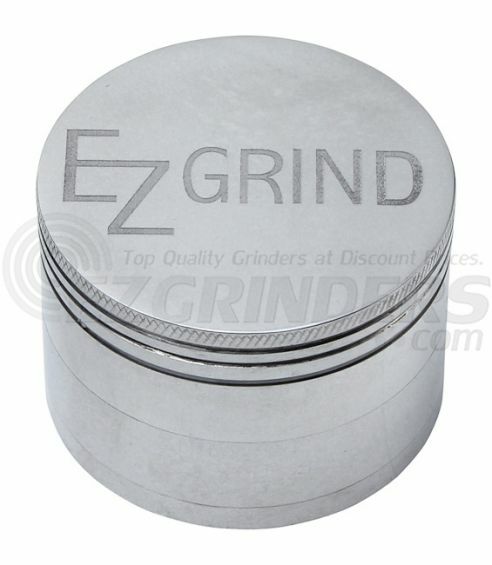 The Large EZ Grind 4 Part Grinder is a great grinder at an amazing price. Although it shares a similar name to our site, that is not why we endorse it. 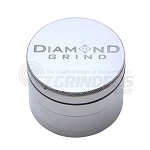 EZ Grind grinders are extremely effective and long-lasting with a reasonable price tag to match. 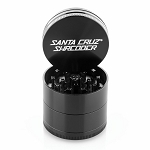 It features a durable hard-anodized aluminum construction that makes it highly resistant to scratches, chipping and other potential damage from drops, falls and your average everyday wear and tear. The standard 4 Piece model comes complete with three separate chambers. The top compartment is where you grind your material, after shredding it passes through this section and collects in the next area. 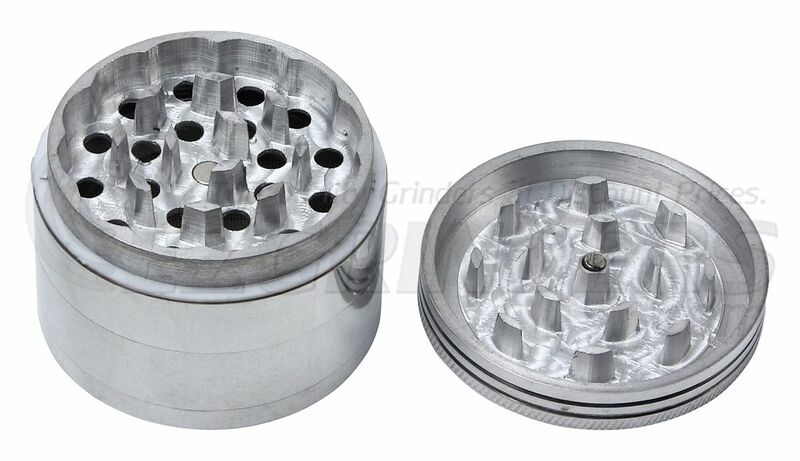 Here you have a quality stainless steel sifting screen that your dry blends are stored on, filtering the finest particles of pollen into the bottom, deep polished collection tray for easy removal. 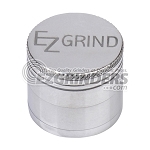 Inisde every EZ Grind Herb Grinder there are two premium magnets centered within the top two layers. They grant you quick access to the grind chamber while also offering a strong, secure and reliable closure for peace of mind during travel. You'll never grind up your favorite dry material only to find it has totally emptied into the inside of your pocket.